The fiery, free ranging Sagittarius man and the cautious, hard working Taurus woman don’t appear to have a great deal in common. Can Sagittarius man Taurus woman compatibility cement together a relationship between such different souls, or are these two destined to pass each other by? There is a strong physical attraction between the Sagittarius man and the Taurus woman. The Sagittarius man is extremely passionate and demonstrative, and that excites the Taurus woman’s romantic streak. She herself is a sensual and earthy woman, who can more than match the Sagittarius man’s ardor if she so chooses. Sagittarius man Taurus woman compatibility may be strong sexually, but beyond the bedroom, it’s unfortunately quite a different story. 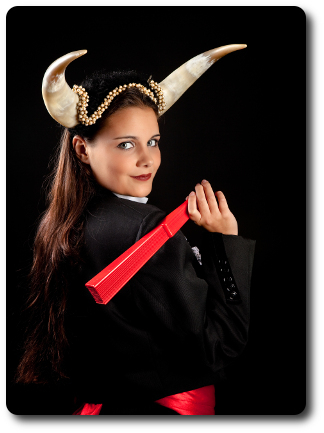 The Taurus woman is all about stability and emotional security. Everything she does in life is designed to make herself feel safe, loved and at peace. The Sagittarius man could hardly be more different. He lives for adventure, risk and adrenaline, and he is constantly on the go, seeking the next big adventure. He’s not interested in putting down roots, whereas his Taurus woman is big on commitment. It’s hard to see how this battle between caution and recklessness could pan out; Sagittarius man and Taurus woman compatibility doesn’t really suit either partner terribly well. Although this couple can have a very passionate short lived affair, it’s very difficult for them to live together on a long term basis. This fire/earth mix doesn’t do either partner any favors. The loving and kind Taurus woman is scorched by the Sagittarius man’s blunt rudeness, and he in turn feels suffocated by the Taurus woman’s wet blanket approach to his exciting adventures. For the Sagittarius man and Taurus woman, compatibility means adapting a great deal to each other’s needs – but the Taurus woman is a fixed sign and doesn’t adapt to anything much. It would need to be the Sagittarius man doing the adapting here, but even though he is a mutable sign, he draws the line at giving up his freedom. In the event that the Taurus woman does persuade her Sagittarius man to settle down, she’s still only won half the battle. The next stage is to keep him there – and he won’t appreciate her jealous, possessive streak. He will quickly become restless, and when he’s restless, he’s very short-tempered. The more the Taurus woman pushes the Sagittarius man into a corner, the more likely he is to blow a fuse – or to simply go off and find a different woman to share his passion with. Sagittarius man Taurus woman compatibility is always at risk of infidelity from the dissatisfied, suffocated Sagittarius man. The Taurus woman is a very loving soul, and would be absolutely devastated by such infidelity. Often, however, she senses this risk before she even gets deeply involved with a Sagittarius man, and may never fully trust him for this reason. The Sagittarius man is perceptive and intelligent, and will sense that his Taurus woman is holding back on him, which upsets him. For this reason, Sagittarius man Taurus woman compatibility often never really gets started – but when it does, it could prove a lifelong struggle for the patient Taurus woman to keep her Sagittarius lover by her side.